Talk about déjà vu. In the first article I ever published as the Deja Reviewer, I noted that it wasn’t fan fiction about RoboCop fighting Iron Man, but a comparison of their respective first films. And now here I am five years later saying that this is going to be an analysis of the Bourne and Bond film franchises, not a battle to the death between super-spies. I saw Jason Bourne earlier this year, and I was pretty disappointed. I mean, the movie was fine. It had plenty of great action sequences. But everything felt played out and run-of-the-mill. 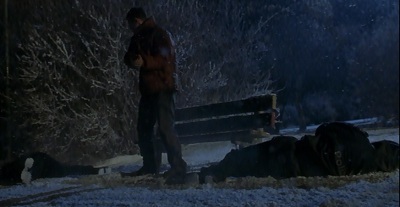 Another girl close to Bourne gets killed early in the film. Another up-and-coming CIA woman tries to win Bourne’s trust. Another old guy with a connection to Bourne turns up. Another fellow assassin tries to take Bourne down. What was accomplished in this film besides attempting to justify its own existence? Bourne is still on the run and everyone is just as miserable as ever. I miss the good old days when spy movies could have moments of levity, beautiful exotic women for the hero to woo, and more going on in the plot than just surviving murder plots and attempting to dig up clues about the past. Oh yeah, we have that in the form of Bond films. 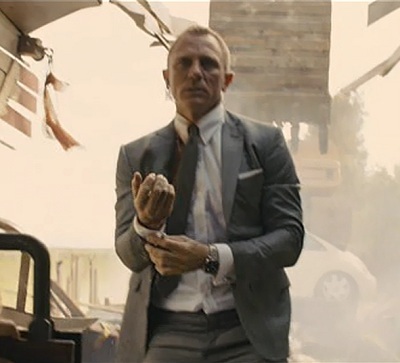 Admittedly, 2015’s Spectre wasn’t my favorite Bond film, but that’s at least in part because the other Daniel Craig films have been so amazing. I’m going to explain why the Bourne series could never last as long as the Bond series. They were fine as a trilogy, but trying to keep them going just doesn’t work. Both Jason Bourne and James Bond are fictional characters who first appeared in novels. 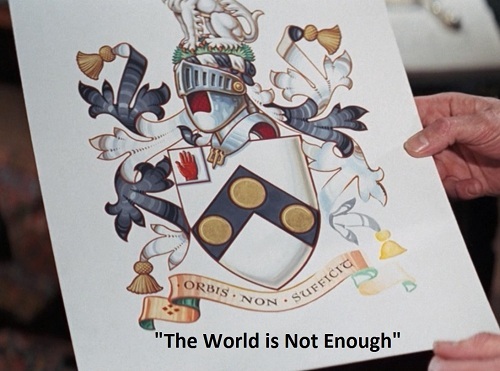 They are the creations of American Robert Ludlum and Brit Ian Fleming, respectively. Those characters and their respective series are the main things those two authors are known for, even though they wrote other novels. They were later transformed into films. Interestingly, their first incarnations were both on TV: in a 1954 live-TV production of Casino Royale and the 1988 TV miniseries of The Bourne Identity. In their first proper Hollywood films (1962’s Dr. No and 2002’s The Bourne Identity) we can see a quick divergence in their trajectories. The Bond films stayed pretty true to the novels, always featuring quite a few character names and situations from the source material. The Bourne Identity plays fast and loose with the plot of the novel. It has the same premise as the novel (a spy loses his memory), but it takes the story in a whole different direction. I don’t mind because I think the film is even better than the novel, but it sets a precedent that makes it impossible for the next two films in the series to have any relation to the events of the next two novels. This veering off course makes it difficult to have anything to return to the way the Bond films have constantly been able to over the years. The Bourne Identity’s memory-loss gimmick is great. 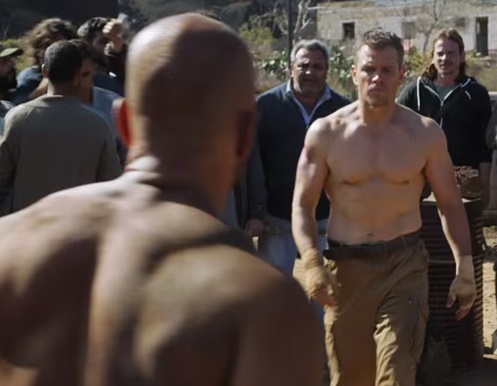 Seeing Bourne try to puzzle his way through dangerous situations is a lot of fun. He doesn’t understand why he’s so expert at killing when he doesn’t want to hurt anyone. As the mystery of his true identity slowly unravels, he is faced with the choice of remaining a killer or hiding from his former friends. He chooses the latter, and it would have been fine leaving it at that. 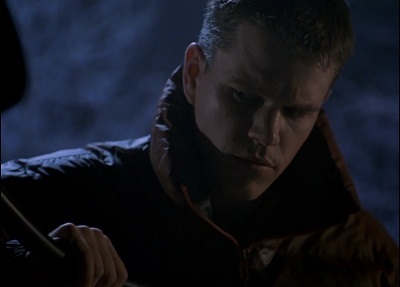 But sequels were inevitable as a result of the first film’s success, so they had to come up with ways to keep involving Bourne in CIA conspiracies. Admittedly, they did a good job in The Bourne Supremacy and The Bourne Ultimatum, coming up with legitimate reasons to bring Bourne back and create a compelling story across a trilogy of films. But once they cleared up any mystery about who Bourne really is and why he is the way he is, there’s really nothing else to do with his character after that. 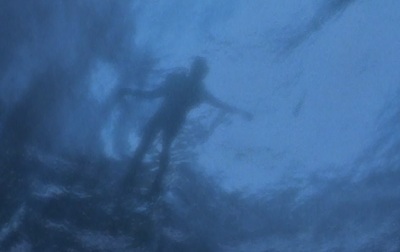 Bond lost his memory in the novel of The Man with the Golden Gun, which created some interesting situations. But in the films, Bond has always been in complete control of his mental faculties. That’s why Bourne was such a fun wrinkle in the usual flow of spy stories. Here’s a Bond-level killer who is trying to put the pieces together of a mission he botched. It approaches the usual story from a different point of view. Until Skyfall, we barely got a glimpse of Bond’s past. He’s always been a mysterious character, which leaves him open to interpretation by each actor who plays him. Bourne, however seems perpetually stuck in the same situation, which makes him less interesting as time goes on. There are only so many ways to make his memory loss compelling. 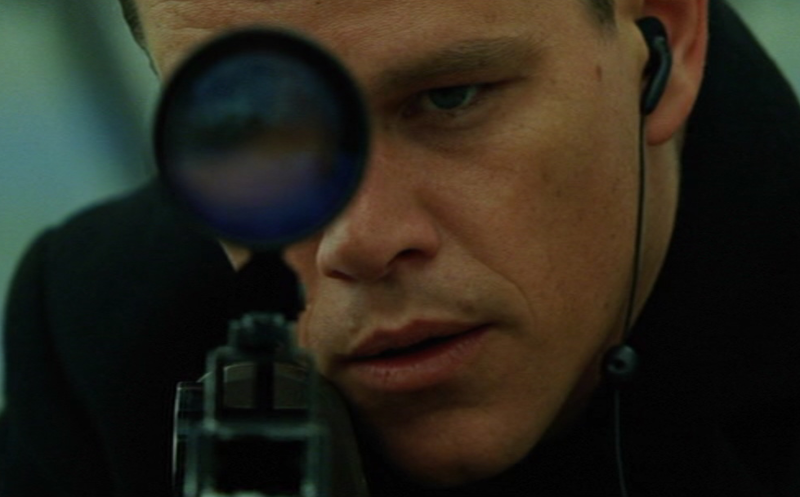 Bourne’s modus operandi is to get very calm and quiet when gearing up for a life-and-death encounter. He never utters a clever quip after dispatching a bad guy, nor does he do anything funny at the end of a chase scene to relieve the tension. He’s just focused on survival. This was extremely refreshing in 2002 when The Bourne Identity showed up and wowed audiences. It was also pretty cool in the next two films. But fast forward more than a decade later and it’s become clear that Bourne’s cool demeanor just isn’t all that interesting. All of the action and suspense becomes unbearable after a while because there’s no release valve. Marie served that purpose to a degree in The Bourne Identity, but she’s taken out of the picture at the start of The Bourne Supremacy. Thus, there’s no one left to provide even a little bit of levity to the proceedings, and they quickly descend into unending dreariness and misery. James Bond is all about delivering funny lines to relieve the tension before, during, and after exciting action sequences. Some of his one-liners can get hokey, but he usually rides that line between silly and serious perfectly so that we’re able to have fun while watching him go on his adventures. Bourne is great at making me worry, but sometimes I just want someone to make me smile, and that’s Bond. Don’t get me wrong. I really like Marie and the contrast her emotional responses provide to Bourne’s stoicism. She anchors the first film in a way that is sorely lacking in all of the others. But she doesn’t really tell us much about Bourne’s character. I already wrote an entire article detailing how Bond’s conquests in the realm of women say a great deal about who he is as a character. So I’ll just briefly say that every woman he sleeps with is extremely hard to get and is thus a special attainment that shows how extraordinary Bond is because he alone was able to woo her. However, Bourne doesn’t have that. Marie is just a random woman in need of money who he sees at the U.S. embassy in Zurich. She’s not important or special. She’s an everywoman who the audience can relate to. The moment when Bourne sleeps with her is nice in the fact that under such stressful circumstances these two people are able to find some consolation together. But it’s not an attainment in the way that Bond sleeping with, say, Vesper Lynd or Contessa Teresa di Vicenzo is. 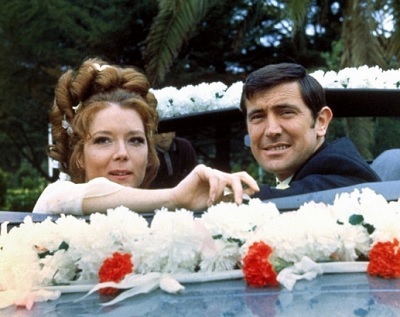 It might not be politically correct to say this, but James Bond is a more interesting character because of the challenge of his romantic conquests. Sure, he has difficult missions to complete, but his movies wouldn’t be as fun to revisit if he weren’t such a powerful character. And a big part of his mystique and power come from his influence over beautiful women. The Bourne Identity had a fresh take on the spy genre, telling the story of a man with exceptional martial-arts and weapon skills who doesn’t want to kill people. He’s constantly disarming people and then throwing their guns away. The Bourne Supremacy is somewhat of a revenge story about Bourne trying to find out why he’s still being targeted by the CIA. The Bourne Ultimatum provides a few answers about Bourne’s past and allows him to finally move on with his life after taking down the corrupt officials at the CIA who had been hunting him. By the time Jason Bourne debuted this year, the Bourne formula had become clear. Once again, a woman close to Bourne is killed, sending him on a hunt for revenge in which he uncovers corruption in the U.S. government and clues about his past. Lather, rinse, repeat. The Bond formula is a bit more difficult to pin down than the one in Bourne’s movies. 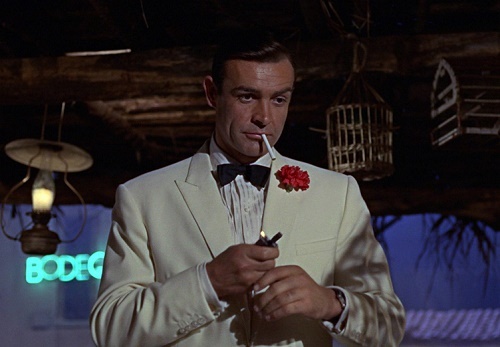 There are enough variations on the sacrificial lamb character, villainous plot, interactions with M, Q, and Moneypenny, and other staples of what makes Bond movies so distinct that each movie in the series is able to take on a life of its own. The films play fast and loose with the idea of continuity, so there’s not usually any need to have seen earlier films to get up to speed on what’s happening in the current film. They tried to take the Bourne series in a new direction with The Bourne Legacy, but that didn’t work as well as hoped. So they had to go back to Matt Damon playing the main character in Jason Bourne. Maybe in a few years they can recast the part of Jason Bourne with a new actor, but then what? Would they reboot the series or continue its current trajectory? Either one sounds like a dead end because they’ll still be stuck with a character whose past has ceased to be mysterious or intriguing. The Bond series has been able to reinvent itself numerous times over the decades. Things got a bit out of hand toward the end of the Roger Moore and Pierce Brosnan eras. They got too campy and ridiculous. But that just led to the introduction of more serious takes on the character in the forms of Timothy Dalton’s and Daniel Craig’s amazing turns. The series can always right itself, no matter how crazy things get. Audiences expect a new actor to play Bond every decade or so. And they don’t mind the character getting rebooted or reinvented from time to time. That’s why the Bond series will continue to endure while Bourne will struggle to pass the torch. Jason Bourne made me realize that the character has devolved into a Rambo knockoff. He was kind of a misunderstood hero fighting against unjust lawmen at the start, but by the end he’s engaging in boxing matches for money and he just seems like he has no focus to his life if he’s not fighting for some political cause. He should be a lot more interesting than he turns out to be. In the end, he’s just a shell of a man with no past and no future. 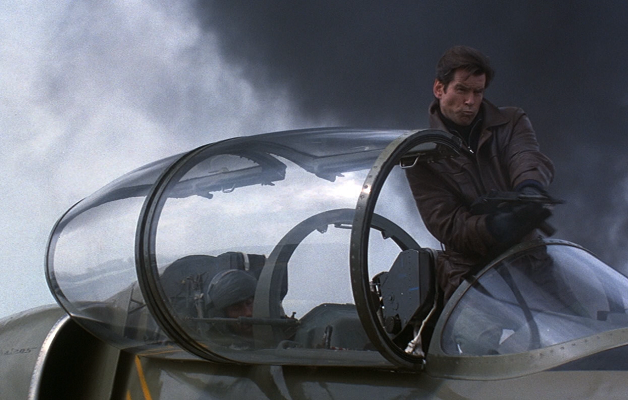 The Pierce Brosnan films are the closest the Bond series came to being a Rambo knockoff. 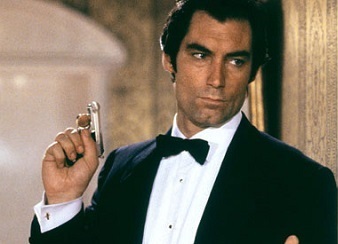 Bond became a one-man army instead of relying on other men to at least help him overpower superior enemy forces, such as in The Living Daylights, The Spy Who Loved Me, and Thunderball. For the most part, though, Bond is nothing like Rambo. He’s suave and sophisticated while also being an expert killer. He can have all the tools MI6 can supply him with or he can go solo, like in Licence to Kill. Bourne has no support staff; he’s always on his own. Bond has a lot more options. Basically, Jason Bourne was an admittedly necessary flash in the pan while James Bond will live forever. I love The Bourne Identity and I enjoy The Bourne Supremacy and The Bourne Ultimatum. They form an excellent trilogy of films. But there’s no story to continue after them. Bourne isn’t an intrinsically compelling character because he lacks most of the ingredients that give Bond his longevity. Bond’s conquests, support staff, quippy dialogue, and ability to reinvent himself time after time ensure that he will continue to be interesting long after Bourne’s silent assassin has been relegated to a noteworthy shadow in the realm of spy movies. This entry was posted in Movie Matchups and tagged action movies, bourne identity, films, james bond, jason bourne, love, movie franchise, movie review, movies, relationships, romance, sequels, spy films. Bookmark the permalink.